The prompt came up as Wanderlust 🙂 and they asked about the places which made me feel different and amazing. The place that comes up readily, will be Delhi. The hustle bustle, the crowd, the historic monuments, the food and uniquely, the company. It all amalgamated to be one of the most amazing trip of 7 days. I wrote about them in detail in the posts which can be found here. I ll share one of the shots that was a predetermined shot, as I call them, and it came out perfectly. 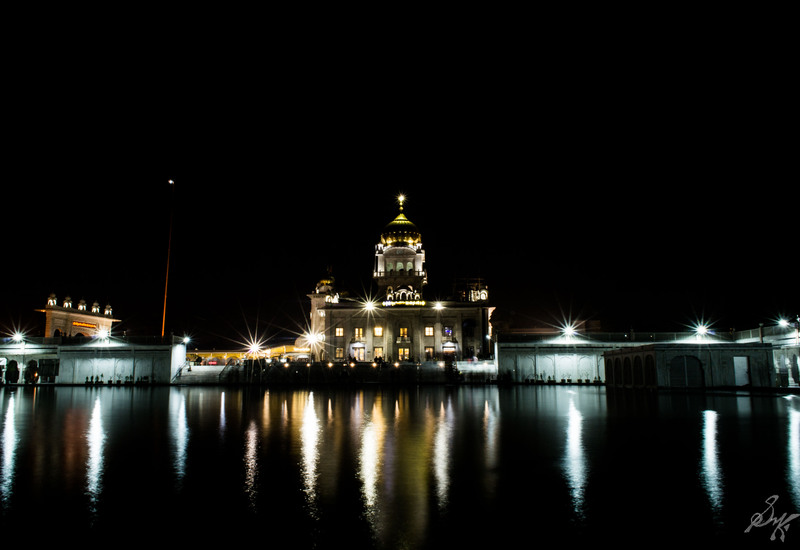 This, right here is, Bangla Sahib Gurdwara shot from across the tank. Go through the link above, and let me know what you loved and what you believe could have been different.